Chris first attended my 'Get Savage On Stress and Meditation Course' approximately 12 years ago and has done many 'Breathwork Groups' over the years. He has a passion and a special gift with music, and in the last couple of years he has stepped into a new direction, creating beautiful and ambiance music for the Soul. Chris has developed a fabulous Guided Meditation site where he offers "The world’s most comprehensive guided meditation website". 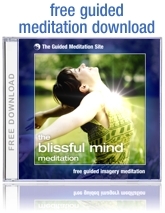 There are thousands of guided meditations and beautiful pieces of music to choose from. Chris is a wonderful example of tapping into greater potential and fabulous "life change"... from the corporate world to his own ever expanding and very successful music and internet business. You may also be interested in Chris's Royalty Free Music site where he offers exquisite background music... Perfect for guided meditations, hypnosis and deep relaxation. "Get breathing"... It will change your life! !